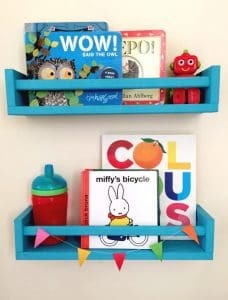 Peruse a site like Pinterest long enough, and you’re bound to come across some brilliant DIY ideas. Perhaps you’re in need of some inexpensive storage solutions but don’t feel like spending hours researching articles. Luckily, you don’t have to — we’ve done all the work for you! Scroll down to see some of our favorite popular storage hacks. We see so many Pinterest tutorials on creative ways to use hooks, we wanted to put them to the test. Watch the video below to see which ones work, and which ones don’t! So what can you make out of spice racks, besides spice racks? In a word, lots. 1. Try your hand at some bookshelves, or make an entire reading corner with nothing but a few spice racks and your book collection. 2. 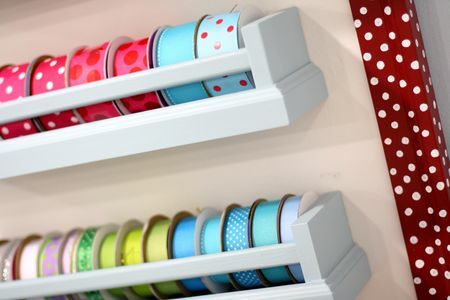 If you’re into crafting, you’ll need a cute place to store all those spools of ribbons. And spice racks are the answer. 3. Do you have children who love playing with dolls? 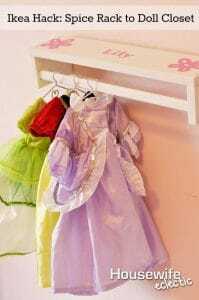 They’re sure to love this creative dress-up area for their doll clothes. Just turn the spice racks upside down! Pegboards aren’t just for the garage anymore. As it turns out, storage opportunities are endless. 1. It couldn’t be easier to store and carry your jewelry using a pegboard. 2. In need of a storage solution for your hodgepodge of cooking utensils? Pegboard to the rescue! 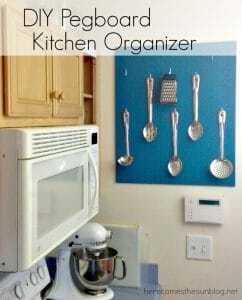 This is great for a cluttered apartment that’s low on storage space. 3. 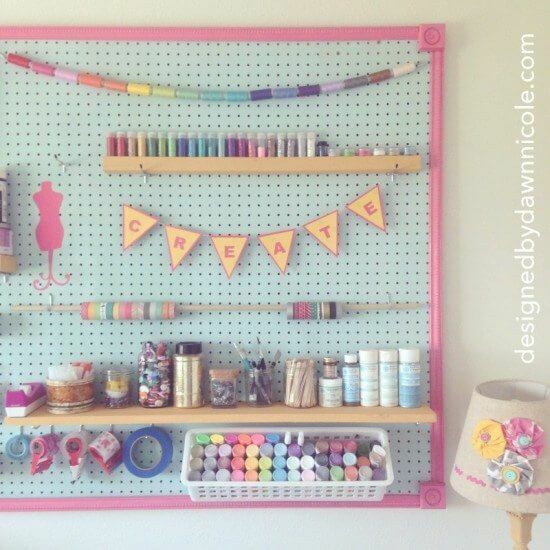 Frame a pegboard to suit your crafting space. Did we mention it’s also pretty? Chances are you’ve come across PVC pipe at some point. Bet you didn’t know that boring stuff has multiple uses for household storage. 1. 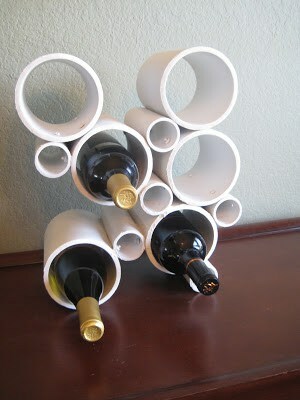 Sure, you could use a standard rack for wine storage — or you could whip up this super stylish one from PVC pipe. 2. If you’re like most people, styling tools like hair dryers and curling wands are a nuisance to put away. 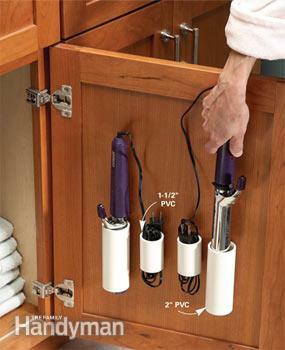 We think you’ll like this genius PVC pipe solution. 3. 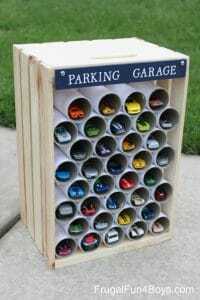 Parents will flip over this adorable toy car garage made with PVC pipe. And since it’s such a cute home for all those tiny cars, cleanup is sure to be a fun process. Hang cleaning products in a shoe holder. Store Barbie dolls in a hanging shoe holder. Use a magazine rack to organize your mail. Store cables in a shoe organizer. It’s always smart to plan storage solutions for your new home. Don’t forget to schedule your professional local movers! Call Ameritex at 713.464.6683 to let us know how we can help.